If you just launched a test but do not visualize the changes, you can follow this guide to make sure your test is set up properly. 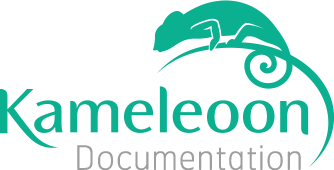 When you launch a test, Kameleoon updates its script, to make sure it contains the new data. The script loaded on your cache might not be updated. To make sure it is, open a web console on your browser (with F12 on a PC or CMD+ALT+I on a Mac) and type in this command: Kameleoon.API.experiments. It will list every test running on your website. In the example below, 4 tests are launched on the website. You can click on the small arrow on the left of every Object to see the detail and check if the test you just launched is here (thanks to the name information with the name of your test). If your test is not on this list, you can empty your cache to force your browser to load the last version of the script. You can force the display of a variation on your computer. For further information, you can read the article How to force a specific variation to run on your computer? If you defined a target for your test, you might not be targeted. To check if you fulfill all criteria, open a web console on your browser (with F12 on a PC or CMD+ALT+I on a Mac) and type in this command: Kameleoon.API.experiments. It will list every test running on your website. In the example below, 4 tests are launched on the website. You can click on the small arrow on the left of every Object to see the detail. The targeting has the value true if your are targeted. If the value is false, you are not fulfilling all criteria, or your segment is not set up correctly. Clicking on targetingSegment will allow you to check the targeting configuration. Note: It is always recommended to launch a simulation to check if everything is correct. Please read the article Previewing and simulating a test for further information.